Update: 11:15 a.m. SB 7 is being discussed/debated on House Floor, expected that votes are there for SB 7 to pass. SB 7 contains pro-life provisions under which Planned Parenthood stands to lose at least $17 million per year in taxpayer funds and SB 7 prevents use of county taxpayer funds for abortions. SB 7 contains improved pro-life language that is agreed to by SB 7 authors — Rep. Zerwas and Sen. Nelson – and Rep. Bryan Hughes, Rep. Sid Miller and other pro-life members of the Texas House and Senate. SB 7 is expected to come to a vote TODAY in the House and Senate! The Texas House starts working at 10 a.m. today. The day to defund Planned Parenthood in Texas is TODAY. Please call your House member and Senator NOW to ask them to support SB 7! Check back on the blog later today for updates. 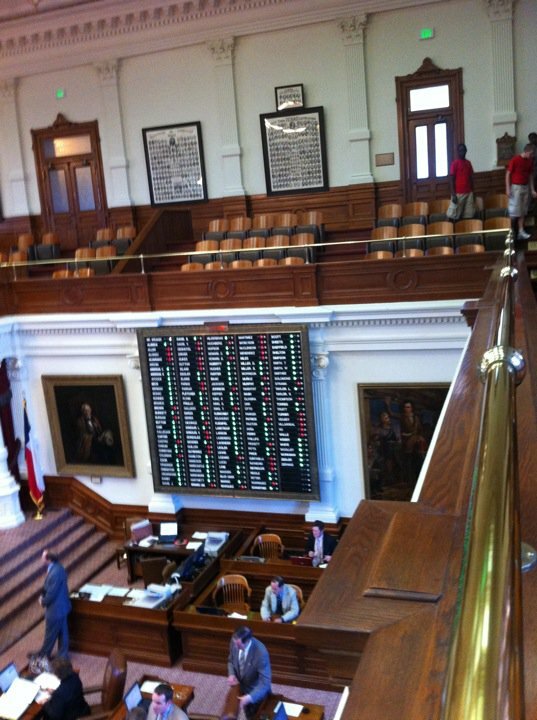 Video update from inside the Texas House Chamber on the final days of the Special Session. Important updates on SB 7 and the efforts to defund Planned Parenthood. SB 7 Improved, Defund Planned Parenthood Vote is Monday! Call Today! SB 7 Improved, Defund Planned Parenthood Vote is Monday! Call your Texas State Senator and House member today to support SB 7, to defund Planned Parenthood! As we reported to you last week, pro-life House members were working hard to include stronger pro-life language in SB 7 after it emerged from conference committee with overly broad language. One section of SB 7 created a loophole for taxpayer-funded abortions on some babies with an abnormality, that some believe included Downs syndrome and other disabilities. We are thankful for Rep. Bryan Hughes and Rep. Sid Miller, who led the efforts of numerous pro-life House members to reject this language, craft tighter language on this issue, and close the loophole. Their efforts were successful as an agreement was reached yesterday with the help of Rep. John Zerwas and Sen. Jane Nelson, the authors of SB 7. SB 7 also contains pro-life provisions under which Planned Parenthood stands to lose at least $17 million per year in taxpayer funds. SB 7 is expected to be voted on MONDAY by the Texas Senate and the House! “Revised” Conference Committee Report Filed for SB 7, Defund Planned Parenthood Bill, According to Tx Lege Website. No details yet. We will post the report here when it becomes available. There is some background discussion that SB 7 will come up for a vote in the Texas House, today. Rep. Zerwas is the House author and there has a been an effort by numerous pro-life House members to have the final version of SB 7 be more inclusive of the pro-life language included in the House version of SB 7. We’ll post updates as they come.